I love book series. I also love book covers. Therefore it stands to reason that I would love the covers for series. And I do… when they’re consistent. 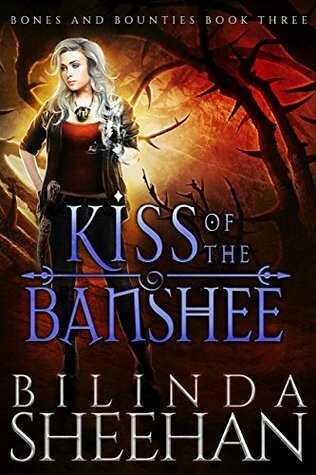 But there are a lot of little (and sometimes big) things that irk me when it comes to the covers on different books in a series, so I thought, why not make it a discussion?! Well, the main, most important reason is that it makes the series recognizable. People can spot them and know, even if they’ve never seen that particular book, that it belongs to XYZ series. It makes the series more memorable and easier to find. I also happen to think it looks more professional. Last but not least, we readers just like it. It’s pretty. And we like pretty. Every cover has the same placement of the title and author, the same font style and color, and every image has a character in the foreground on the left side with some sort of background. It’s super easy to tell these all go together, and their similarity makes them really striking all together like this. Every cover has the same font style, the title and authors are on the same slant, there’s a little triangle cut-out showing the characters, there’s some sort of space-themed background, and there’s a mechanical feel with bolts and whatnot worked in. Again, super easy to tell these all go together, and it’s pleasing on the eyes to see them all lined up like this. Once again, every color matches with the font style and placement, and all the images are the same muted colors. These all follow the red and black comic book/blood splatter theme and use the same model and keep the text consistent, but each one has a different color for the series name (INK) and author name which makes them stand out from each other. But what really prompted this post is that sometimes a series will be nicely consistent, except it’ll do something that just makes me start getting twitchy. It’s always in the details, and it’s usually the kind of thing you don’t notice until you look at the books next to each other. But what really bothers me is that it’s always the type of things that could’ve easily been the same on each book. I.e. There’s no reason for the differences in the covers. I don’t mean to hate on the following covers because many of these are covers I LOVE individually, and this definitely isn’t something that would ever stop me from reading/buying the books, but, as a series, the covers do make me a bit twitchy. The first one has a white background. The second has a red background. The third has a black background. So they all have different color backgrounds… but two of them have a black figure. NO. That bothers me. The second one should’ve had a red background and a white figure, and then the third should’ve had a black background with a red figure. Like, the colors should’ve rotated, damn it, so that each cover had a different background color and a different figure color! The red and blue ones are so crisp and clear, but that green one has a faded, washed-out look. The first three covers all have a color of their own, but then the last one uses purple for the background, like Book 1, and red for the moon, like Book 3! Why not just make them matchy like all the other covers, and in a different color? Why is only one of the images of her legs?! Am I being nitpicky? Maybe. But I’m allowed to be annoyed by whatever I want to be annoyed by! And like I said, it’s not like I would ever not read a series just because the covers don’t match perfectly. It just makes me happy when they do. 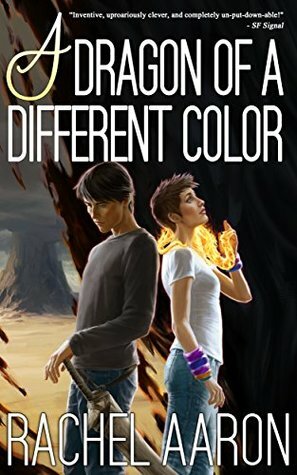 Do you like when book covers in a series are consistent? Does it also bother you when little things on the covers are different? I’m totally with you on the Schwab series! You should tweet the publisher about their massive eff up. ;) It is annoying when covers aren’t consistent. Seriously, that one bothers me SO MUCH lol. I love seeing matching sets of book covers. But I’m totally with you on the nit-picking. It was a shame they faded the final cover on the Immortal Circus books because I love the images on those. I love matching book series covers, and the Schwab ones always look amazing, I didn’t even notice the differences though to be honest. As long as they follow the theme, font, style, sizes and possibly cover models then I’m cool with it, its when they completely change it (if a series is older and the new ones get better quality covers and styles but the old ones don’t change) that bothers me. Also, international covers sometimes are even better than American ones! I love the Schwab ones, but it still really bothers me how they did the colors. But yeah, it’s even worse when covers completely change. And I agree, it’s frustrating when other countries get the better covers! Yes to the J Armand, Jenn Burke, Anya Allyn, and Bella Roccaforte covers as examples of getting it right. Good examples. I love the J Armand covers. I agree that the VE Schwab books would’ve been better with the change you mentioned and the green Immortal Circus book does look washed out and kind of blurry compared to the sharp images of the other two. 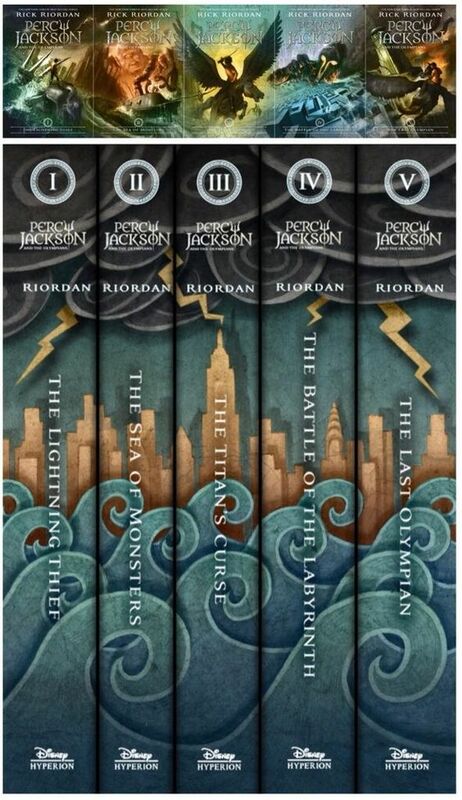 The other two series would annoy me too…especially the legs on one book but not on the others. Weird choice. I personally can put up with these slight niggles but I go mad when they totally change the style after 6 or more books like the Kelley Armstrong and Benedict Jacka books. It drives me up the pole! Great post! I tried to pick really good examples, glad you like them too! But the Schwab ones just irk me so much lol. But I mean, yeah, I can deal with the little things. It just annoys me because it could’ve been fixed so easily! Complete changes mid-series are the worst though. Hahaha, you’re not being nit-picky at all!! I’m a design freak, too, and get really upset when people make design mistakes. I have the American copies of the Darker Shade of Magic series, and there are some minor little details that are off in those copies, too! Even my husband noticed them (which tells me it’s more obvious than I thought). Its frustrating!! Ok good, it’s not just me then, haha. I feel like the little things almost bother me more because they could’ve been fixed so easily! I haven’t paid much attention to the US version of Darker Shade though since I haven’t read them and have always just preferred looking at the UK ones. Lol I feel like that happens a lot with my posts. Changing covers is annoying too though. Haha wait so you’re saying you don’t like when different books in one series are all just different colors that don’t look good together? I can understand that. I don’t really mind that though, as long the designs are consistent. They change mid series so often now that I don’t collect books like I used to. It’s SO annoying. I love the Chaos series covers (and the series!). they stood out, related to the actual story and stayed consistant. Lol right? Mid-series changes are the worst. Well, I’m not usually affected by them since I read mostly ebooks, but I feel for everyone who collects the physical ones! Oh I didn’t even realize you’ve read Chaos Station too! I also thought the series was great (and the covers, obviously)! 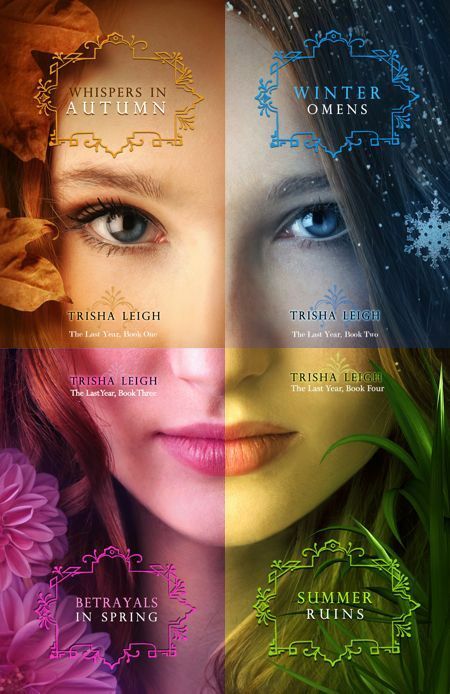 I really do like when book series have similar covers because they just look so nice when presented. Oh, and consistent is the right word. Coherent is more when you’re speaking, I think – does someone make sense? If not, they are incoherent. Yeah this is the UK version. But the color thing frustrates me so much! I agree, it look so much nicer when the covers all go together. I looked up the definitions even lol, and coherent is also, like, when a group of things form a whole. So that almost sounds like it could apply to series. But idk, consistent seems good lol. I love my books to have consistent book covers as well! 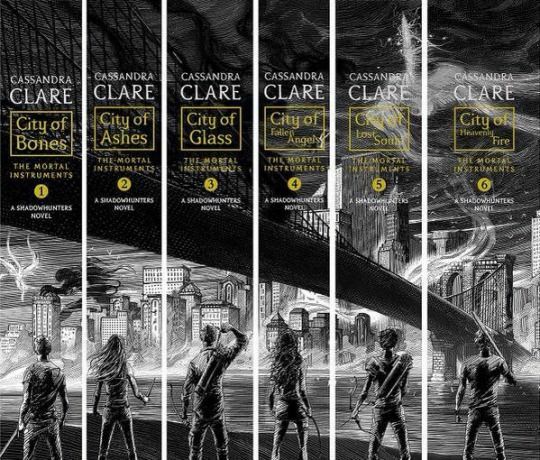 I hate it when the book series comes out with completely redesigned covers half way through the series, or for the last book. It ruins my collection! Across the Universe by Beth Revis changed their book covers for the third and final book and I was so annoyed! My first two books looked beautiful next to each other but the third book didn’t match. The reason they changed it was to make it a neutral gender cover so the story would appeal to both males and females, but they totally could’ve released the third book with the same cover as the first two… At least I thought so. Even though I know it’s a bit much to ask for lol. That’s so annoying too! Although I mostly read ebooks, so ruining my collection is not usually a problem for me. And yeah, I mean, what good is changing the third cover gonna do in that scenario? Might as well have just released one that matched then done a whole re-release with new covers or something. I guess the little things also bother me simply because they could’ve been fixed so easily! But yeah, the complete changes are the worst. Exactly! It is like branding. Thanks! I LOVE consistency in covers and it irks me when they go changing them around. I can see if an author changes publishers, yeah the cover design is probably gonna change, but I don’t imagine that happens all that much? And even if it does it doesn’t excuse the books that didn’t change publishers lol. I agree about the recognizable factor too, I just think that’s huge. You’d think publishers would WANT that advantage for the book. So of these I love the Ink covers. The Immortal Circus books too, although I’m not sure why the green one (my fave ha ha) has the washed out look. I love the Kemp covers too, especially that second one. It is kinda weird though about that last one- the leg shot and then the rest are upper body shots. Yeah, pretty sure the cover legally has to change if the books switch publishers. But I feel like that’s not the reason most covers change or have inconsistencies. You would think that, right? But apparently some publishers don’t understand the branding thing for series. I LOVE the Ink covers. Always have! Lol about the green circus one. I really don’t understand that either though. And yeah the leg thing is so random. I really like consistency in book covers in a series too. I can’t stand when they change the look halfway through. I like the way they look when they are all together and they match. lol! Exactly, it’s so annoying when they change! They look awesome all together when they match! Oh wow, you have quite a good eye for these things. I don’t pay that much attention to the covers, except when there is a drastic change, I guess. But, I really like your approach the Schwab covers. Like I said, you have a really good eye to detail and color. I pay attention to covers a lot because of all my cover posts lol. And maybe it is something to do with the artist in me, I used to be more into making art. KRISTEN! So much to catch up on on your blog! I’ve been MIA due to technical failures and I’m desperately trying to catch up now. I love this discussion! Book Covers are oh so important – everyone knows this! However I think a lot of people forget to keep the series consistent or don’t bother putting the covers together to see what they all look like in a lineup. I love when covers are all matchy AND when the spines ALSO do something. Some cool ones above! (I hope images show up here? Not even sure). Anyways, looking forward to catching up on your other stuff too! Thanks for the great post! Di @ Book Reviews by Di recently posted: I'm Back!!! Hmm… I guess they don’t show up. Di @ Book Reviews by Di recently posted: The Blog Squad: Special - What have we discussed so far? Sorry the pictures didn’t work, but the links still do at least! And wow, these are AMAZING!!! I think I actually have the first ebook of that last series lol. Don’t sorry about it, I understand! Thanks! And yeah, apparently a lot of authors and publishers don’t think about keeping series consistent or checking how they’ll look lined up. I don’t own any books with cool spines, but I’ve seen some that form pictures and stuff, and that is awesome! Agree that this matters a whole lot. I’ve worked hard to force creative consistency across all of my series. It really does matter for branding. Your covers are definitely consistent. I should’ve used yours as an example! It definitely matters for branding. I think inconsistency in covers don’t annoy me as much as inconsistency in size would. I have seen books in a series that have different heights (though I can’t think of what it was now) and that would really irk me, mostly because it would look strange on the shelf. Oh yeah, that’s annoying too since I like to keep my series together on my shelves! Don’t worry, I apparently ruined those series covers for a lot of people lol. Oh, yeah, inconsistent height is annoying too. Not sure I’d notice page thickness though, I might not be that observant! Me: *whispers* I really don’t care if book covers aren’t consist. In fact, I kinda like it when they’re inconsistent – gives the place more of an au natural ‘oh I just threw this collection together’ kind of feel. Gah! Blasphemy! Lol jk. I mean, I like consistency, but you’re allowed to like whatever you want! See, I would totally have not noticed those issues you had with the covers until you pointed them out. I mean, I like cover continuity but honestly I only notice the big changes. Like when they do a cover redesign part way through a series. I’m not every observant, though. I get it, you can be nitpicky about covers if you want to. Stuff like that matters to people. We like continuity and some symmetry between covers is important. It’s the little things which people tend to notice. I mean, I get bothered by strange things with books. i like my covers to match for series but also for authors. A lot of authors but the effort in to have their books have similar covers (I’m thinking Sarah Dessen here because I’ve been craving rereading all her books and I don’t own a few) when an author makes the effort to have their books have similar cover styles it bothers me when I have one which is different. It’s weird but that’s how I roll. It’s easy to see the differences when the books are right next to each other, which happens when I make all my cover posts. Otherwise I might not have noticed. I don’t mind if covers match for authors though. I feel like, if different series by an author have different vibes/moods/genres, then it’s better if they’re not too similar. Dessen makes sense though since most of her books are standalones, right? And they’re all kind of a similar feel? I do agree about the consistency. It’s like some of them even change the SIZE of the book! What..? But that said, I dunno, i thought the Schwab books were pretty consistent? Even if there are background color differences, the color scheme is the same. They kind of give off the same vibe. The Immortal Circus though, that’s an OCD nightmare :D 1 and 2 seems fine, but 3 is wayyyy too different. Maybe a different designer did it? Yeah, size changes are annoying too! The Schwab covers are consistent enough, but the color thing just bothers me so much because why?! That would’ve been so easy to fix! Ugh, yeah, that does sound bad. It’s the worst when covers are completely inconsistent. Idk, maybe they did change them since the books were different. Seems like a bad idea still, even if that is what they did lol. Okay, I think I will never see these Schwab covers the same way again, it IS bothering me now ahah. I love it when covers are consistent just as well, it’s so great to find these little details in each of the covers for a same series. HATE it when everything suddenly changes from one book to another. Yeah, apparently I am the great ruiner of Schwab’s series covers, haha. But it has always bothered me! But yeah, it’s the worst when the covers completely change! It’s funny because I don’t think I would have noticed the inconsistencies you pointed out, but once you brought my attention to them I couldn’t unsee them! LOL! Apparently I ruined the Schwab series covers for a lot of people, haha. Oops. It’s always stood out so much to me though! Totally with you on this. We need more consistency. Also on the spines though. Some just change placing of the title for some reaons. Like why? Yeah, I hadn’t thought about the spines, but I agree with that too! Even with the few physical books I own, some of the series have different heights of the titles and little publisher symbols and stuff. Oh…oh no…i have never noticed that the cover of A conjuring of light doesn’t match….Oh MY GOD i can never unsee it it will bother me forever now great. Lol don’t worry, I apparently ruined those series covers for a lot of people. But I agree, you’d think they’d WANT to make the covers match better since it’s better branding and therefore better for sales! I also love series and it’s awesome when the covers in a series match. Those examples you posted all look so great as you notice there was care in keeping the style consistent across covers, but often they still vary one element. And like you said not all the elements have to be the same or similar, but enough to see they are part of the same series. And yes those small details really annoy me, especially when they are small things and inconsistent like that VE Swab series, they are great when seen individually, but when lined up like this it just rubs em wrong how two covers have the same colored figure.You can still easily tell these are the same series though, so at least they got that part right, but then why didn’t they pay attention to those small details? Exactly, the good ones have a balance of important things staying the same with one or two things varied. Yeah, I remember you noticed the problem in the Schwab series too when I used it in a cover post. Apparently we’re the only ones who noticed that and now I’ve ruined the series covers for everyone else, haha. But yeah, you can easily tell they’re in the same series, and individually I think they’re gorgeous. But I think that’s why it annoys me more, because yeah, why didn’t they just pay attention to the color thing?! Oh man- I’m totally with you. I hate when publishers change the cover design partway through a series. The absolute worst is when they change the size of the book itself. I have a few series that started out as mass market paperbacks and after a few books they made the new books about an inch taller… why?! Ugh yeah, that’s really frustrating to because then they look ridiculous next to each other on your shelf!